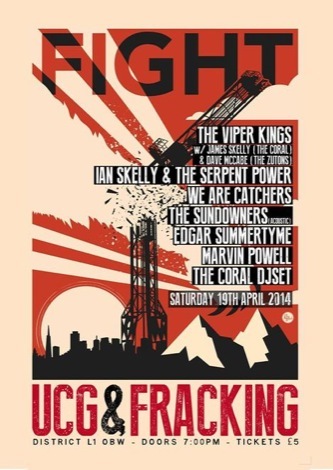 A raft of Merseyside musicians gather to rally against fracking and UCG which may soon threaten the Dee Estuary, Getintothis’ Adam Lowerson reports on a night of powerful music carrying a much deeper message. Whoever said protest music was dead? 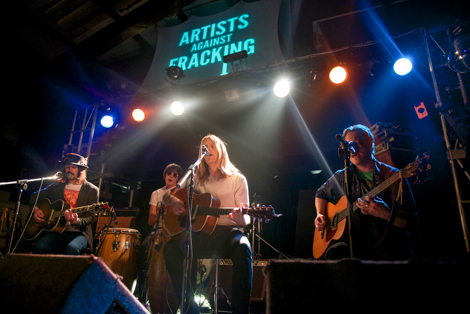 There may be a lack of your typical Billy Bragg-like protest singer around in 2014, but there is certainly no shortage of people using their music to galvanize an audience and rally against a cause – and tonight’s anti-fracking showcase was the perfect example. 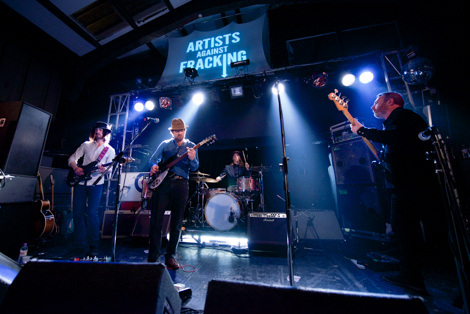 Artists Against Fracking is a movement started by Sean Lennon and Yoko Ono in protest against UCG (Underground Coal Gasification) and the fracking which has been taking place across the world causing damage to our environment, and is set to grow even further. 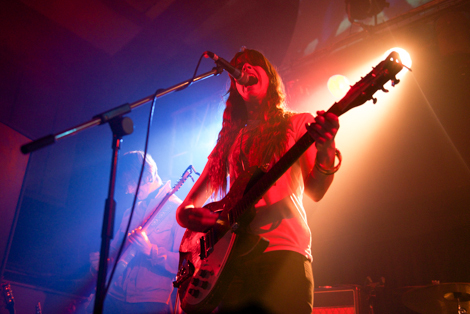 A place which is set to be a target of UCG is the Dee Estuary just off the Merseyside coastline, so in protest former Zutons guitarist Paul Molloy and the Sundowners‘ Niamh Rowe and Fiona Skelly set up the gig at Liverpool’s District to bring attention to the issue. 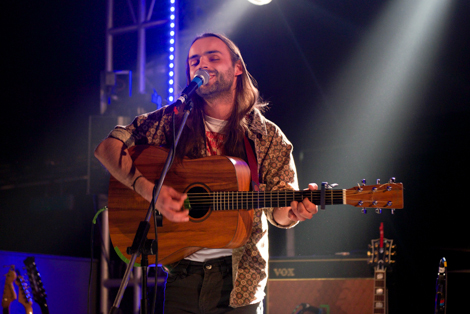 First up was acoustic singer/songwriter Marvin Powell whose soft, folk sound eased the night in slowly. His combination of intricate guitar and delicate, melodic vocals was reminiscent of Sting‘s solo work. 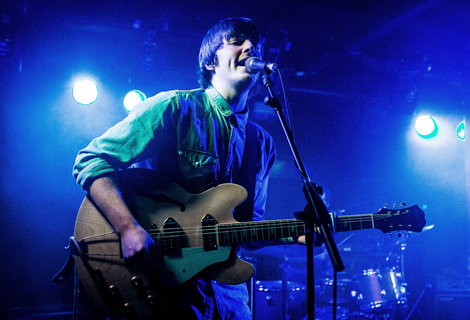 The set was 20 minutes of summery folk bliss, and was lifted even further when joined by a double bassist for final track Buried, giving the track the added punch and groove that a solo guitarist can struggle to capture alone. 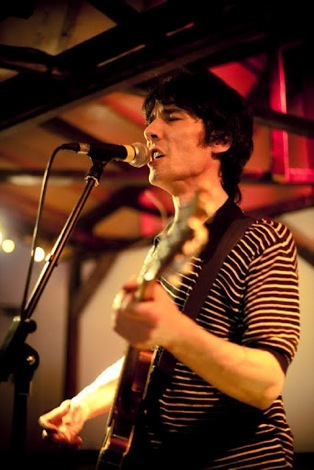 Next up was Edgar Summertyme Jones, a man with the look of a young Mick Jagger and a soulful voice to match, whose album Soothing Music For Stray Cats was described as the best sounding album to come out of Liverpool ever by none other than Noel Gallagher. High praise indeed. 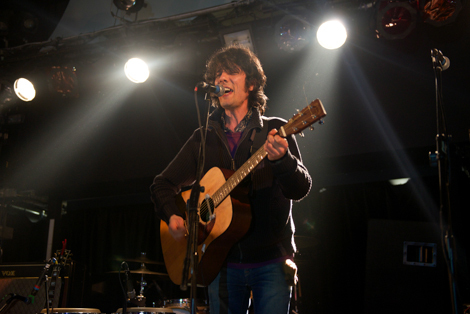 His grooving rock & roll style and singular vocals was a joy to behold, and with the addition of the warm harmonies of two guest backing vocalists created a completely uplifting sound and atmosphere. Highlights were the brilliantly named Serendipity Doo and I Think It Makes Good Sense To Move On Over Here, a track aimed at persuading Jones‘ Wirral based girlfriend to make the move over to Liverpool. Next was the first Skelly of many, with Ian Skelly and the Serpent Power. Their sound combined hazy, Eagles-esque guitars with beautiful four-part harmonies and congas to create a psych-tinged desert rock feel. 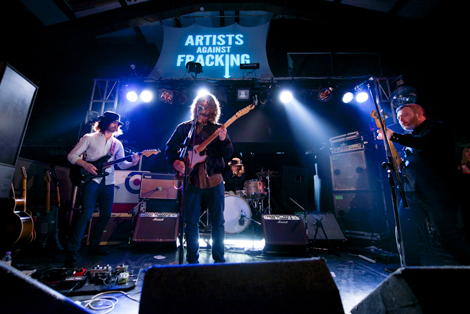 The influence of Skelly‘s former band the Coral is there, but the sound of the Serpent Power has more of an American feel than the Merseybeat inspired stylings of the Coral. The Sundowners, and event organisers Niamh Rowe and Fiona Skelly (yep, another Skelly), followed with a 60s pop sound with added bite. The combination of hard rocking blues guitars and the perfect harmony and chemistry between vocalists Rowe and Skelly gave a real uplifting feel, particularly on single Hummingbird, the stand out track from a very impressive set. The night was brought to a partying, rock and rolling close with Paul Molloy and his latest band the Viper Kings, who were the perfect way to end the night. Their renditions of rock and roll classics such as Johnny Be Goode, Long Tall Sally and Born To Be Wild had the District masses on their feet and dancing on tables. 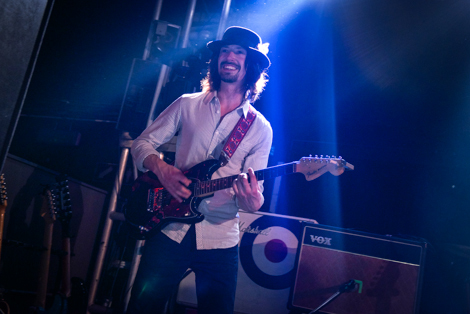 The set saw special guest performances from the Zutons‘ Dave McCabe and a mesmerising guitar performance by (you guess it) James Skelly, who showed exactly why he is one of the city’s favourite sons. Between sets there were screenings of videos helping to raise awareness to the issues that the night were against, including a performance of anti-fracking track Don’t Frack My Mother by Sean Lennon and Yoko Ono, as well as a short documentary about Artists Against Fracking and the dangers UCG is causing. A powerful eye opener about why the event was taking place. If there is one thing that this gig illustrated, it was just how powerful music can be. It can create a feeling of togetherness. A feeling that you’re a part of something much bigger.